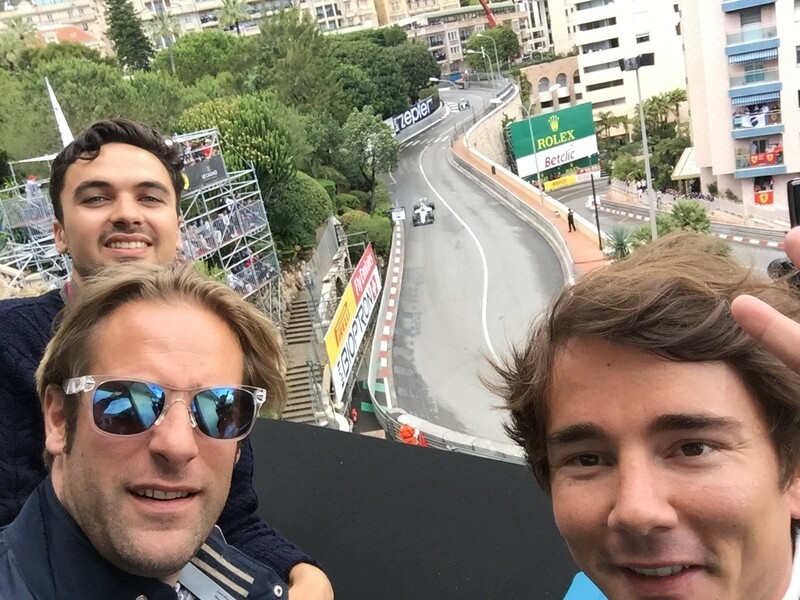 Relevance flexed it’s PR and social media muscle as it was awarded tickets to the Monaco Grand Prix 2016 thanks to the Fairmont Hotel in Monte Carlo. The Fairmont Monte Carlo invited Relevance to cover the Monaco Grand Prix from their roof terrace, home to the famous Nikki Beach. Armed with cameras, and quills, Rumble Romagnoli, Matthew Scott, and Darin Graham headed down the Boulevard des Moulins from the Relevance HQ to the Circuit de Monaco and the Fairmont Hotel. Read all about our experience at the Monaco Grand Prix 2016, see the pictures and watch the video of Hamilton getting his second Monaco win on the F1 circuit. The Grand Prix is a special occasion; some say the world’s leading sporting event with 900 hours of live broadcast, as well as 1.2 billion viewers worldwide tuning in on the internet and TV. As a driver you really need to get out in front and then stay there, so the Saturday Qualifying Day is very very important. It is a technical course with over 19 chicanes and there are 100,000 people in Monaco watching and it is very difficult to overtake, so that makes it a very exciting race. Any error in the pit lane or bad strategy on tyre changes can be critical – you can ask Hamilton, you can ask Ricciardo. We watched the 78 lap, 162 miles race, where Lewis Hamilton did an average of 130 mph for 1 hours 59 minutes 29 seconds in the RAIN!!!! to win his second Monaco Grand Prix. He is behind Rosberg in the constructor’s championship, but this might now be a real turning point in the season. This blog follows up from some of the new work we are doing at Relevance promoting our clients with integrated content and advertising it on social platforms to get a real bite. This strategy is working very well for medium to large businesses who want to get content in front of targeted users and is also very effective long-term SEO strategy. Relevance’s very own ‘Mr Gadget’ and video evangelist Darin Graham recorded the race from the Fairmont balcony outside the Fitness Centre and we can release the footage today thanks to his speedy editing skills. He is designing the editions for social so they are fast, and fun, creating real buzz. The views from the Fairmount were second to none and allowed for views of one of the most important parts of the race. Check the Fairmont Hotel website for tickets, availability and rooms for the Monaco Grand Prix 2017. With a ground-breaking win for British Lewis Hamilton on his most coveted track, after years of losing under dubious circumstances to his Mercedes team-mate Nico Rosberg, the Relevance boys joined the party at Nikki Beach on the roof of the Fairmont Hotel to support everything British. The Monaco Grand Prix is such an excellent networking event, and our account managers and CEO Rumble Romagnoli met some fantastic people on their journey around this bubbling pool party. We are really looking forward to the Monaco Grand Prix 2017. Champagne was flowing at Nikki Beach who were THE perfect hosts to such an awesome event and after-party. See more here.